You can find me today over on the Ranger blog! 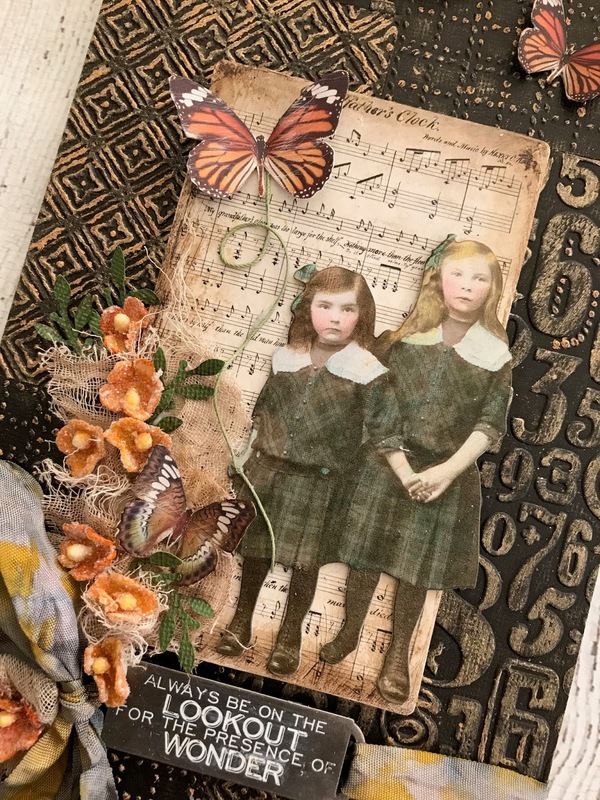 I have a vintage themed project using the new metallic Distress Crayons to create a fun background. Don't miss it! I haven't used the crayons yet...love the effect. Every detail is wonderful Paula...LOVE this! Great tutorial, Paula--so many helpful tips. Encasing the kraft stock with medium before embossing to provide a slick surface for the crayons was a favorite. Love the color scheme of orange and olive which is really complimented by the blacks and vintage paper shades.